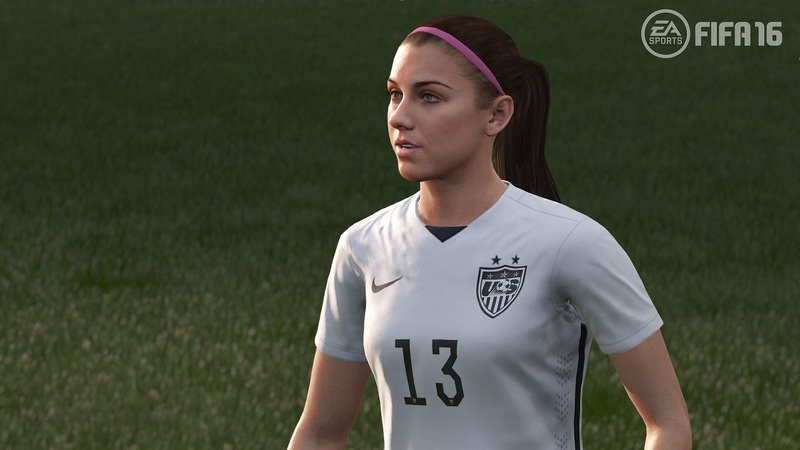 Thirteen female football players have been removed from FIFA 16 following NCAA concerns that being in the game may jeopardise the athletes' eligibility for "collegiate athletics". North America’s National Collegiate Athletic Association contacted Electronic Arts and stated that 13 players were currently attending, or likely to attend, NCAA-sanctioned schools in the U.S.. Although EA disagrees with the claims, in order to avoid any "risk to their eligibility", Canadian players Kadeisha Buchanan, Jessie Fleming, Ashley Lawrence, Janine Beckie, Rebecca Quinn, Sura Yekka, Mexico's Tanya Samarzich, Greta Espinoza, Christina Murillo, Amanda Perez, Emily Alvarado, Maria Sanchez, and Celia Jiménez from Spain have now been removed from the game. FIFA 16 will be available on September 22 for PC, PS3, PS4, Xbox 360, and Xbox One.